My decade of 40 is nearing its end and it’s been a great ten years of learning and growing. At the time I was only taking one Jiu-Jitsu class a week. I knew that if I wanted to get better I’d have to train more...and that meant rolling on the mats with sweaty guys. It’s not that they were sweaty that scared me. They were bigger, stronger, and well, a lot better than me. In my small Muay Thai world, I’m a big fish in tiny pond (at least in my dojo). I’m a second degree black belt and I can more than hold my own. I’ve been practicing this discipline for nearly 7 years. In the Jiu-Jitsu world, I’m a guppie in a huge ocean. So why do I practice? I’ll tell you why! Reason #6: I learn a lot from my training partners. One time during an open mat session, my friend Chris advised me to always have a game plan. I used to be a game plan of one...now I’m up to at least three things I know how to do. 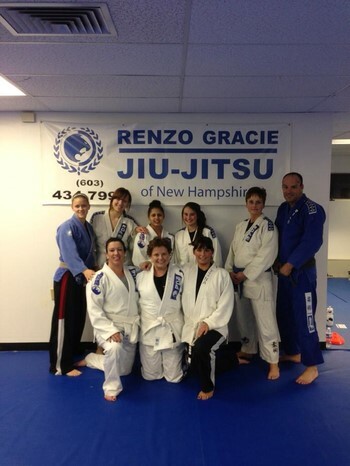 Reason #2: Practicing Jiu-Jitsu is a major leap outside my comfort zone. So far so good. Besides a little rib bruising, I haven’t hurt myself or anyone else...except for that one time the heel of my foot connected with my brother’s head. Yes, that was an accident. Please don’t tell my dad.